Montclair public school teachers Lynn English and Daniel Taylor are strong believers in STEM (Science, Technology, Engineering and Mathematics) education as indicative of English's work as STEM coordinator at Montclair High School and of Taylor's STEM focus at Mount Hebron Middle School. 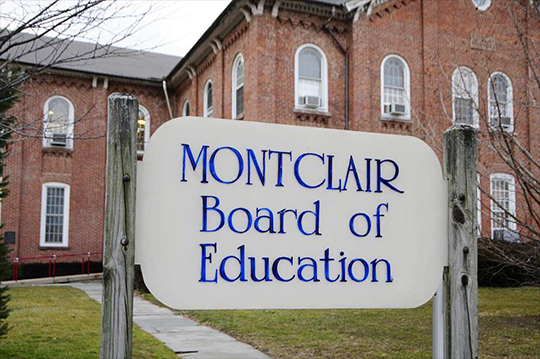 The two spoke at the Montclair Board of Education workshop meeting on Nov. 2, where they each advocated for STEM learning to spread to the district's other nine schools. Taylor and English were joined by Shahram Dabiri, STEM technology manager at the Picatinny Arsenal, the military research and manufacturing facility in Morris County, who cited the importance of STEM. English spoke about working with Taylor during the past three years on various STEM projects as well as coordinating trips for middle-school and high-school students to visit corporations and exhibitions at colleges that tie into the STEM curriculum. English then bought up the topic of 3D printing at both Montclair High and Mount Hebron, and how it is being done at both schools. 3D printing is the process of producing three-dimensional objects from a digital file. She pointed out that funding was provided last spring by longtime Montclair resident and education advocate Josh Weston that allowed for the start of an afterschool program at Mount Hebron to learn the coding and computer language necessary to operate a 3D printer. Weston also donated 3D Makerbot printers to the district. Taylor followed English by saying that learning 3D printing should be possible across the entire district. "What we have going on at Mount Hebron is exceptional, and there is really no reason why the other schools in the district can't profit from these experiences," Taylor observed. "There's no reason why it should just be stuck in the high school and just at Mount Hebron." Later in the meeting, Interim Schools Superintendent Ron Bolandi mentioned that Mount Hebron created a 3D plastic replica of the Apollo 11 Lunar Module that landed on the Moon on July 20, 1969, that they gifted to Buzz Aldrin when he visited his old school on Oct. 27. Bolandi said Aldrin was "more excited" about the replica than even some of the students. Bolandi then said that an exploratory program to put a 3D printer in schools will start on a small level during this school year and will expand in the next school year. He said English and Taylor will spearhead the program, and that he was seeking the "green light" from the board to make it happen. Bolandi added that he intends to have a resolution for rolling out the program on the agenda for the next board meeting, scheduled for this coming Monday, Nov. 16, beginning at 7:30 p.m. in Montclair High School's George Inness Annex, 141 Park St.
Dabiri spoke about how training on 3D printing has been done at the Picatinny Arsenal for teachers, and how it benefits students and school districts in New Jersey when it relates to STEM education. "Win the teachers, win the war. Lose the teachers, lose the war," Dabiri remarked. Dabiri said Picatinny Arsenal covers the cost of the training, which was formulated by New York City-based Makerbot Industries. He described the training as "amazing." 3D printing can create objects that go beyond just the tenets of STEM and into other subjects such as anthropology and literature, noted Dabiri, who recalled an English teacher using a 3D printer to make period-era items that complemented instruction about "The Great Gatsby." Dabiri said 3D printers made by Makerbot are well-made and are small enough to be used in all grades in the Montclair School District. He then answered questions from board members and the district's business administrator about the printers' maintenance and safety. When board member Anne Mernin asked about the lifespan of the printers, Dabiri said it was about three years. Dabiri said educating children in 3D printing and other STEM-related endeavors starting in kindergarten can be beneficial for them to find high-paying jobs in government and in the private sector.